The sources of power has been unchanged for over 50 years until now. There’s a new environmental friendly source of electrical energy in town. Instead of harnessing the sun’s energy, it draws from another unusual source – your body heat. The technology is called Power Felt, and it comes thanks to the researchers at the Centre for Nanotechnology and Molecular Materials at Wake Forest University. Power Felt uses carbon nanotubes to create electrical energy from temperature differentials, such as the temperature difference between your body and the air. 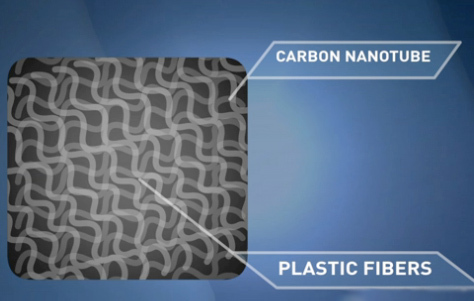 The researchers enclosed the nanotubes in plastic fibres to create a fabric, which allows the device to be easily incorporated into a number of products. Heat is a by-product of so many processes that there are so many potential applications for this technology, from capturing the heat escaping from your house to lower your energy bill to charging the battery in your car. You could insert this into the liner of your clothing to capture body heat and have a source of energy with you wherever you go. While this technology has great potential, it still requires some developments before it could be used by millions of people. Not surprisingly, the researchers are looking to make the fabric thinner and produce more energy.